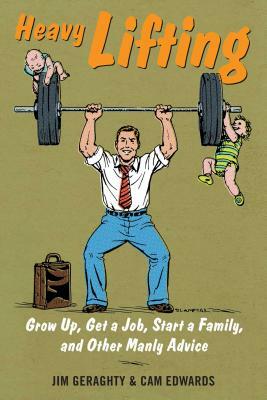 In this hilarious ode to male adulthood, Jim Geraghty and Cam Edwardstwo happily married, 40-year-old menhave a simple message for their younger peers: Grow up! Jim Geraghty is a conservative blogger and contributing editor at National Review. He publishes the popular National Review Online blog "The Campaign Spot" and runs the "Morning Jolt" newsletter, which has around 400,000 subscribers. He is also the author of Voting to Kill: How 9/11 Launched the Era of Republican Leadership. Cam Edwards hosts "Cam & Company," a three-hour radio/web show from NRA News available on Sportsman Channel, SiriusXM Satellite Radio, NRANews.com, IHeartRadio, and iTunes, with a daily audience reach of 100,000+. His "Cam's Corner" column appears monthly in America's First Freedom magazine, with a circulation of 545,000. This is his first book.